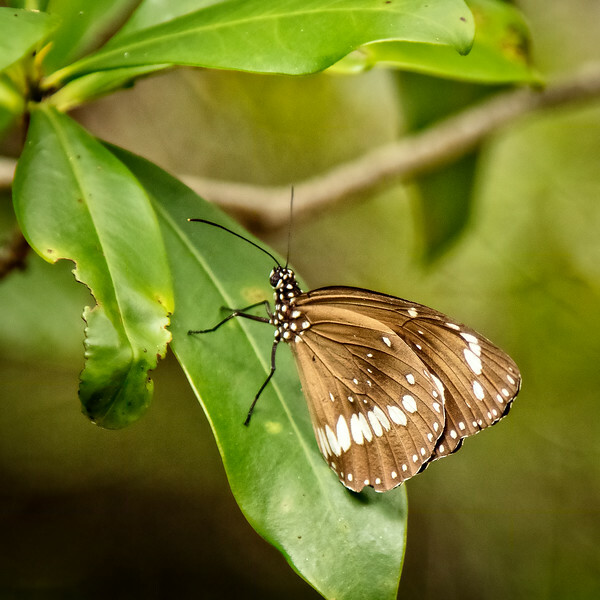 Julie and I spent a month in India photographing tigers, birds, and other wildlife (see other galleries) and then traveled to Darwin, Australia via China. 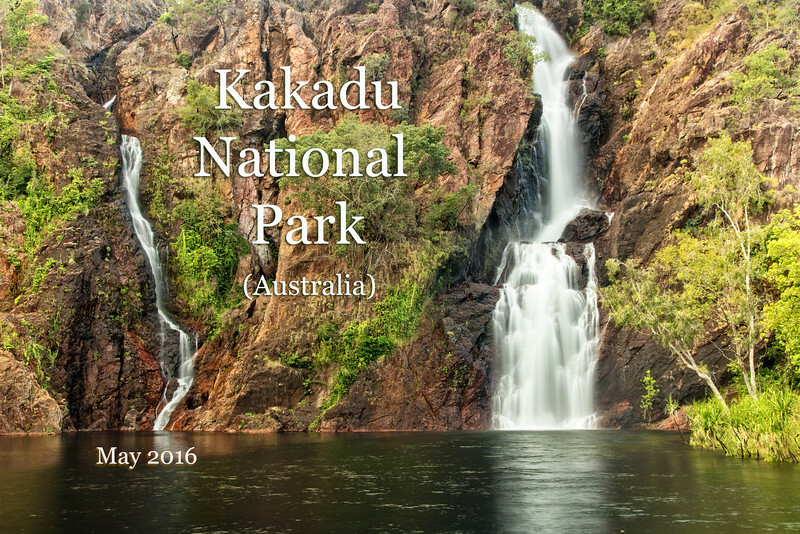 We spent 4 days traveling through Kakadu National Park and surrounding area prior to our taking a two-week cruise around Northwest Australia, called the Kimberley (see separate gallery). 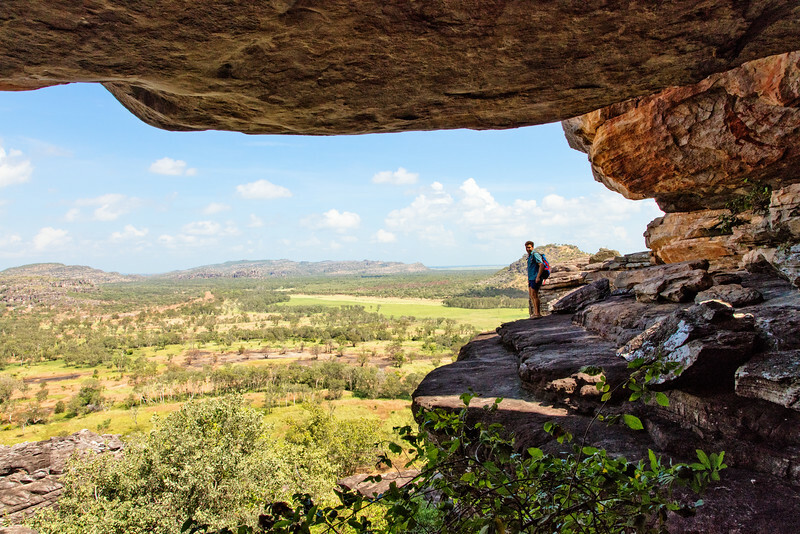 In this gallery you'll see the highlights of our photographic tour of Kakadu. 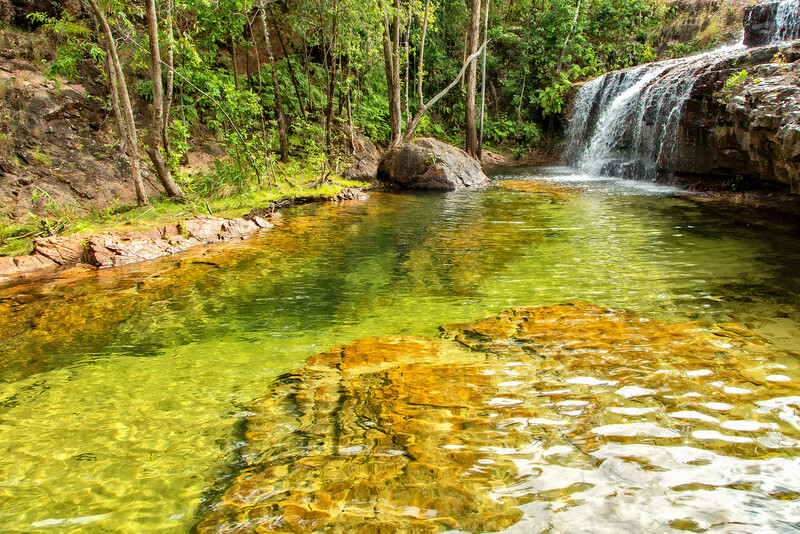 We took a refreshing swim here, called Wangi Falls. 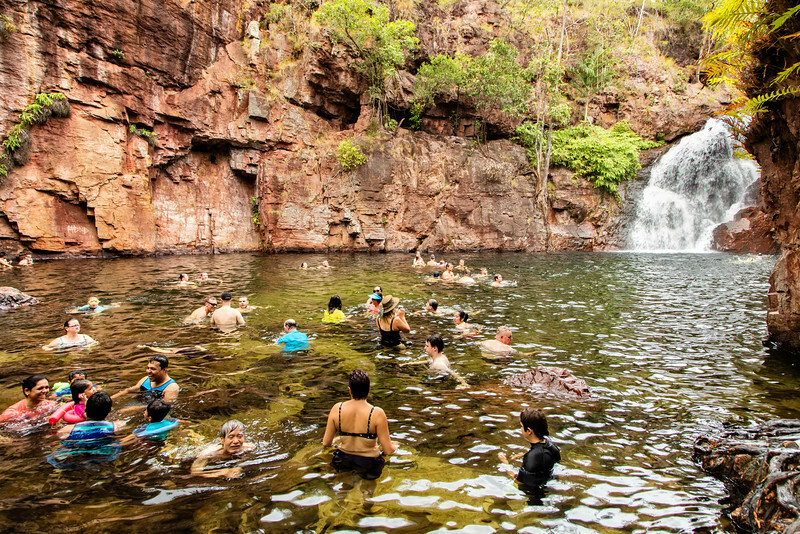 We climbed down from our overview of Edith Falls to see a crowd enjoying a swim. 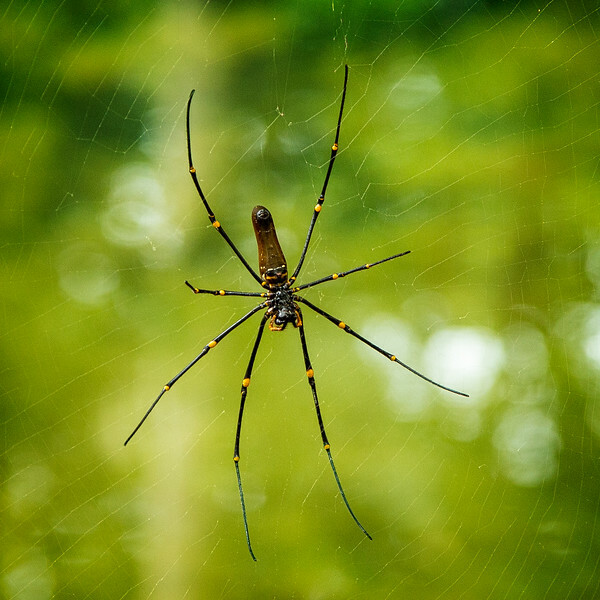 This spider is similar to or may be the Banana spider we find in Florida. 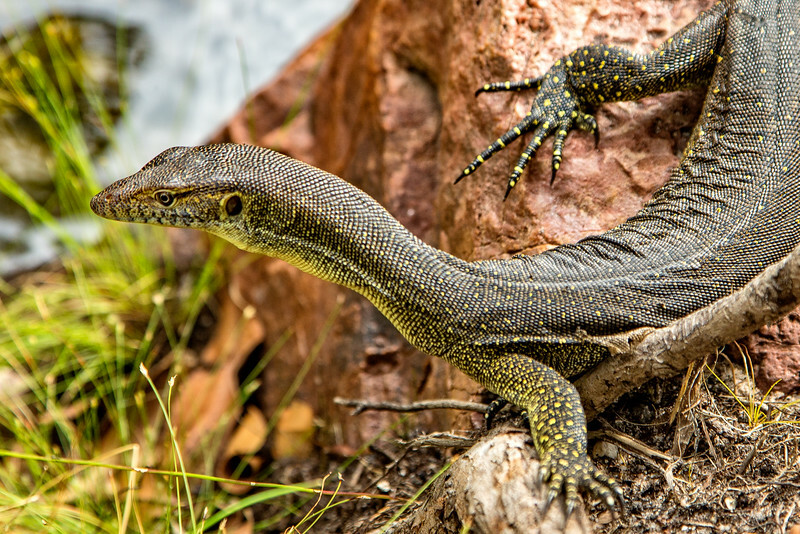 Water monitor at Wangi Falls. 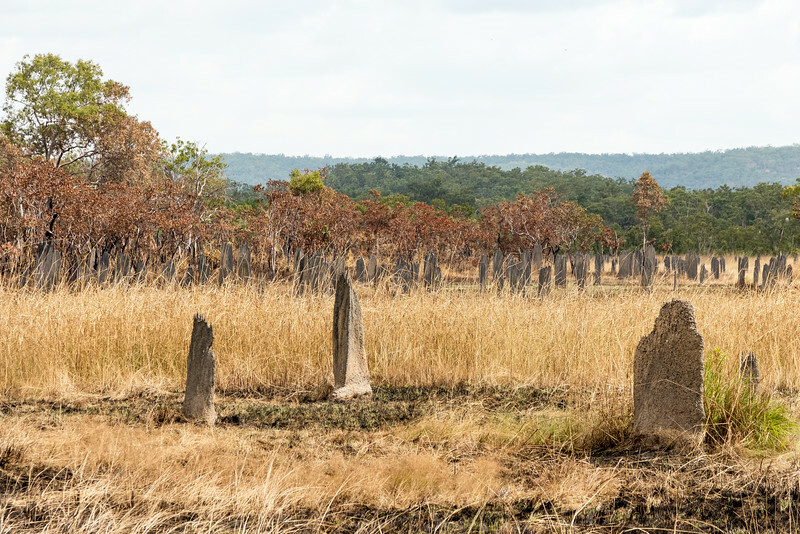 A series of termite mounds that look like gravestones. 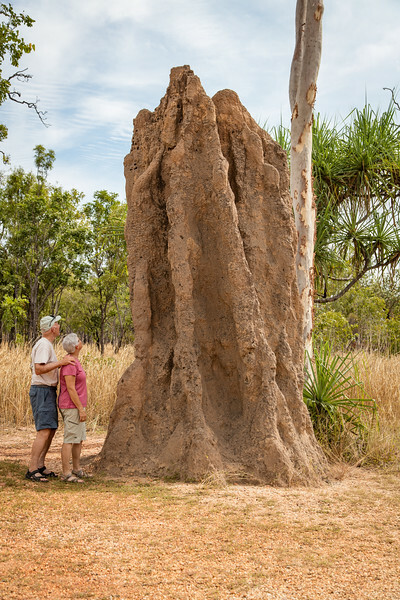 This is an active termite mound which looks to be about 15 feet tall. 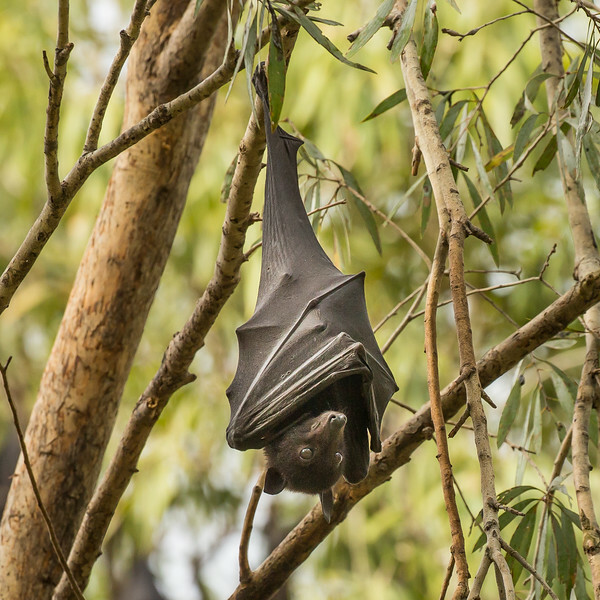 A bat resting at Katherine Gorge. 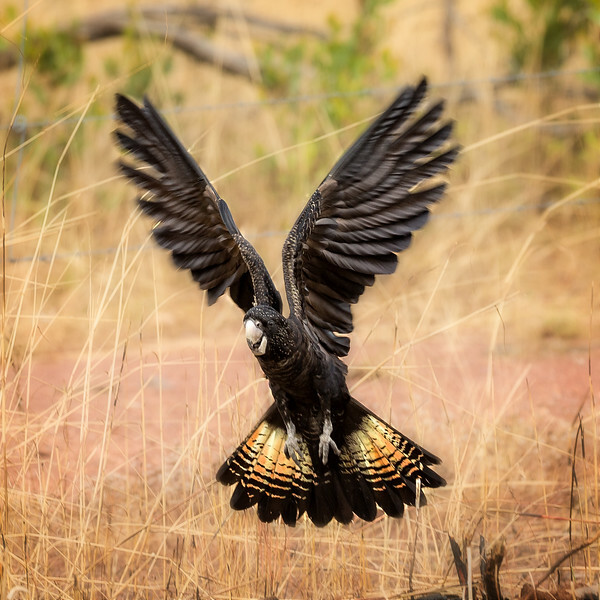 This is a red-tailed black cockatoo, an unusual looking bird. 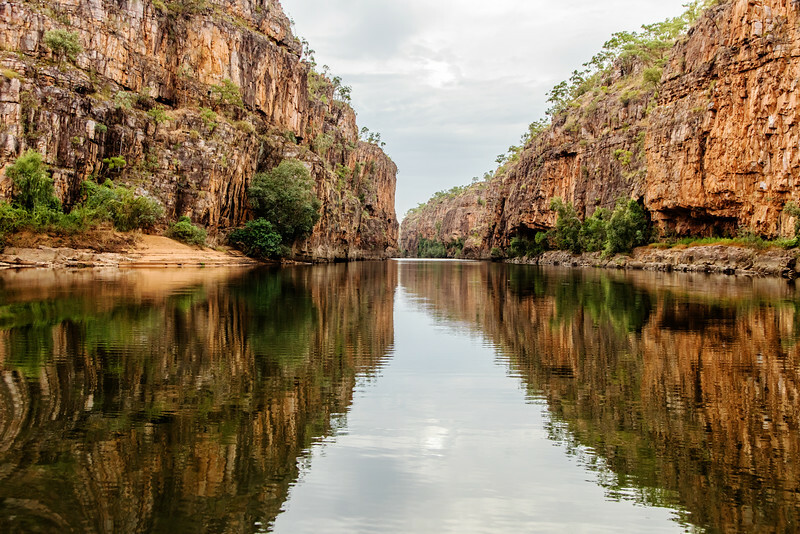 Katherine Gorge in the early morning. A Galah perched high in a tree. 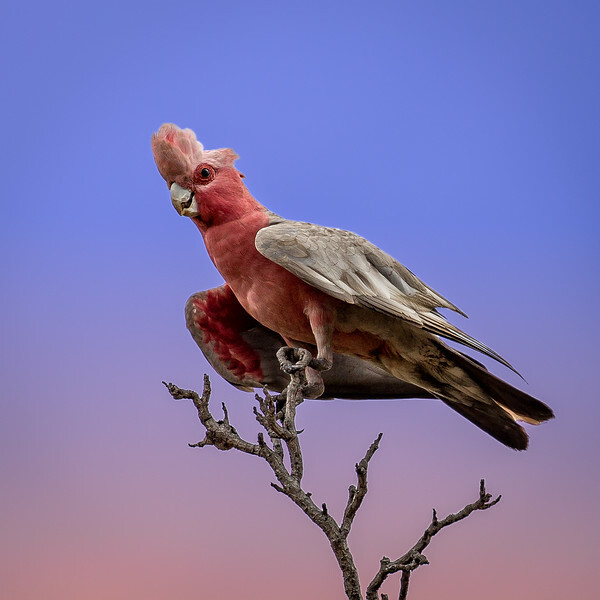 Galahs are very common throughout Australia. 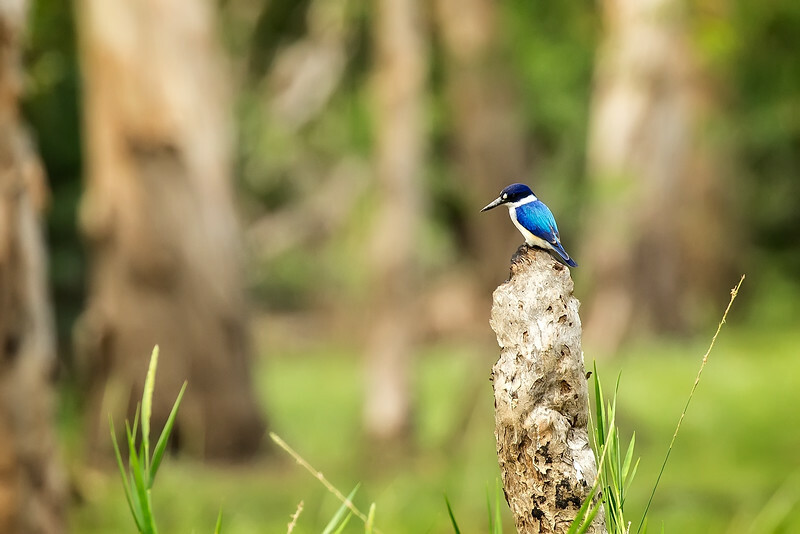 A Little Kingfisher, which is its official name. 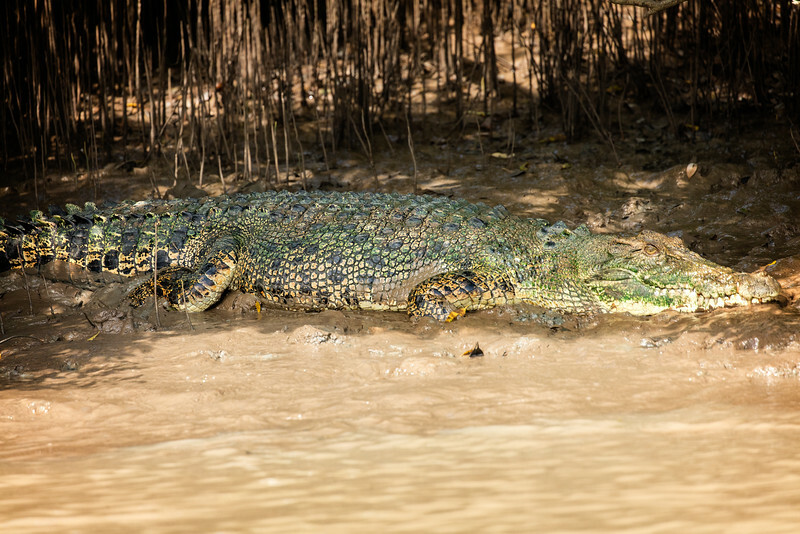 While cruising on the Yellow River this 18-foot crocodile approached our boat. 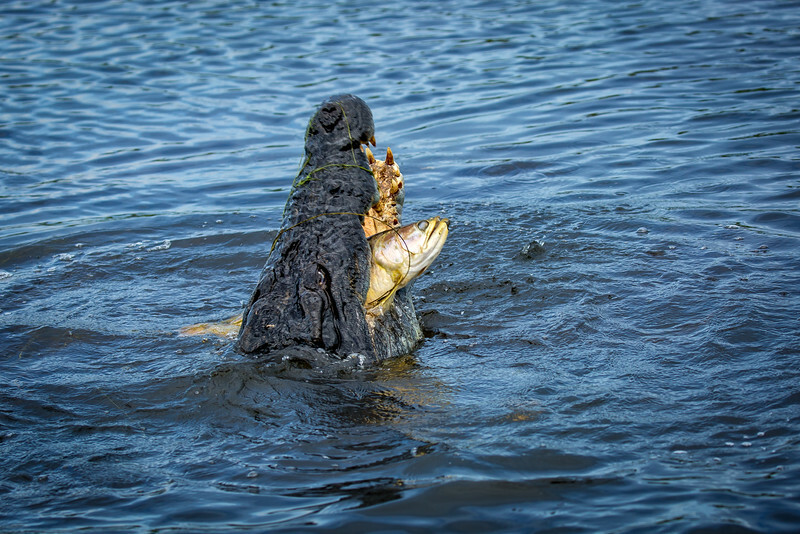 On the Yellow River I photographed this crocodile having a snack. 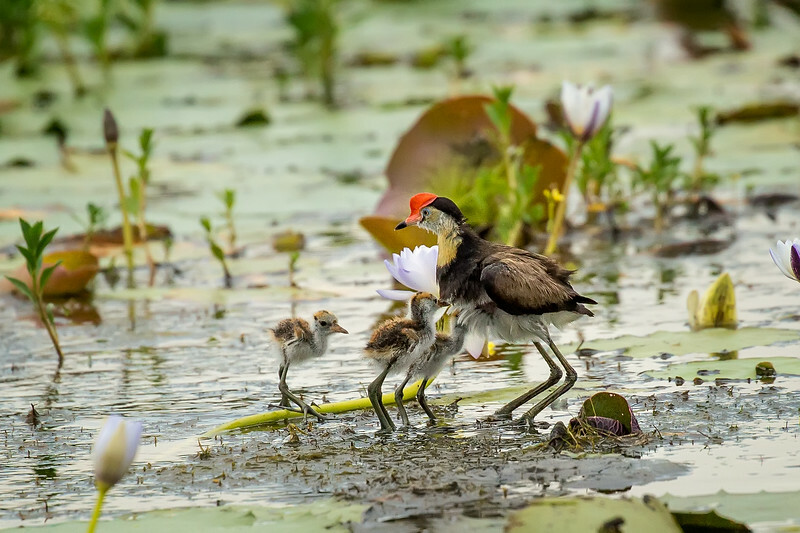 This is a comb-crested Jacana with three chicks nearby. 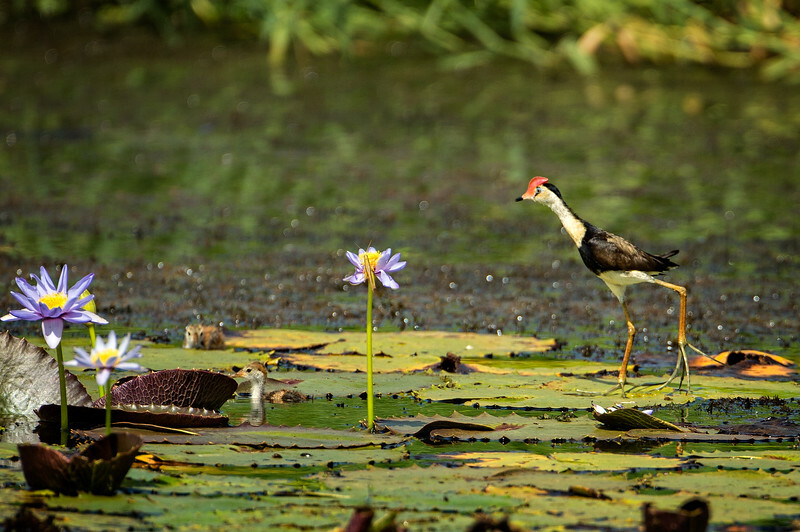 Now look closely, one Jacana and 4 sets of legs. 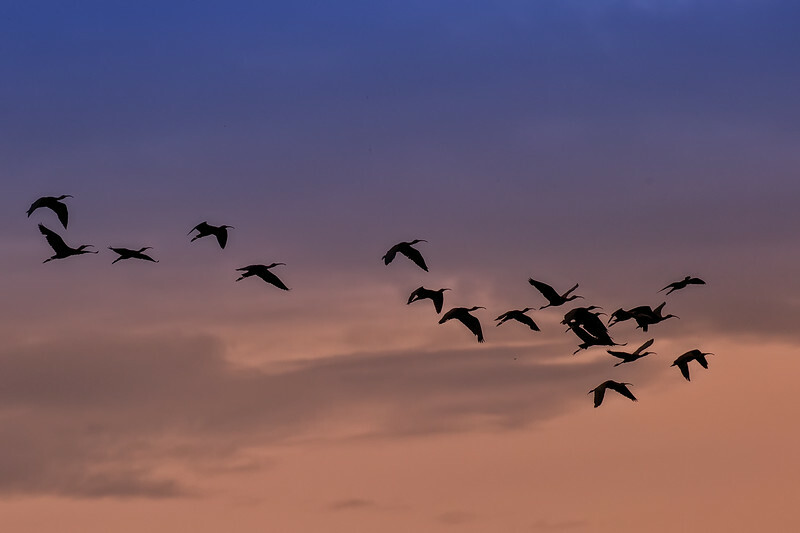 Sacred ibisis flying to their roosting site at dusk. 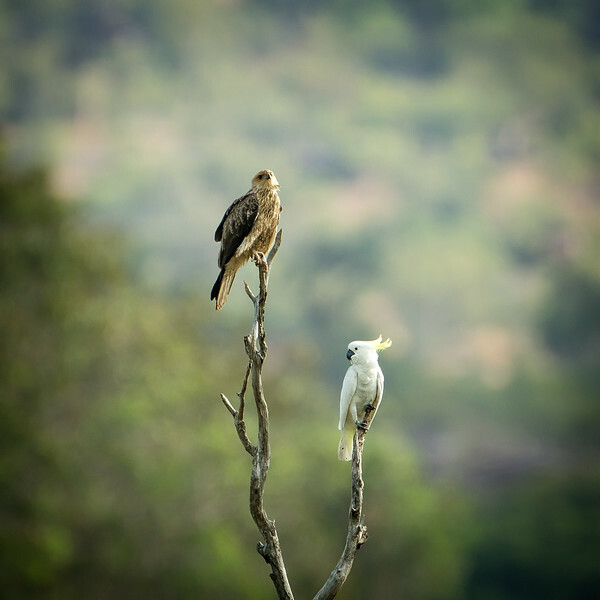 An unusual sighting, a black kite sharing a perch with a cockatoo. 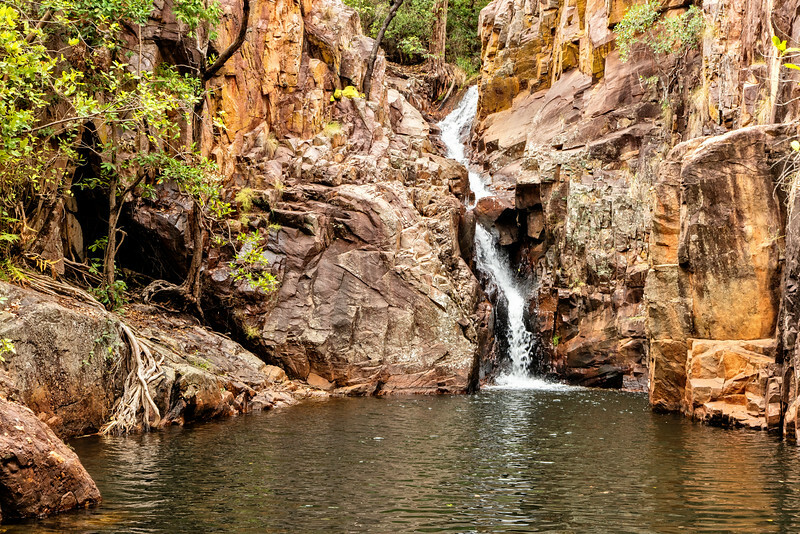 Another small waterfall called Moline Rockhole. 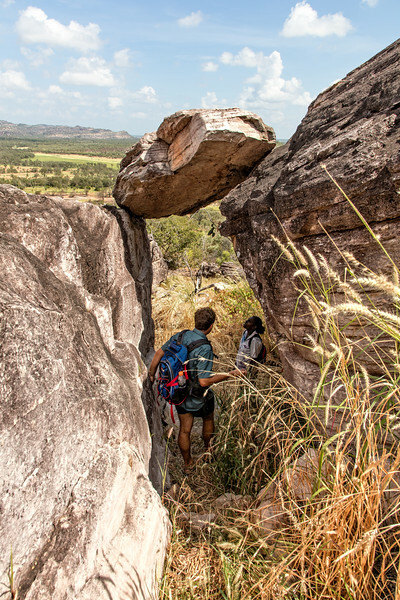 We hired two aboriginal guides to take us up a small mountain to their sacred burial grounds. Here's the view part way up the trail. 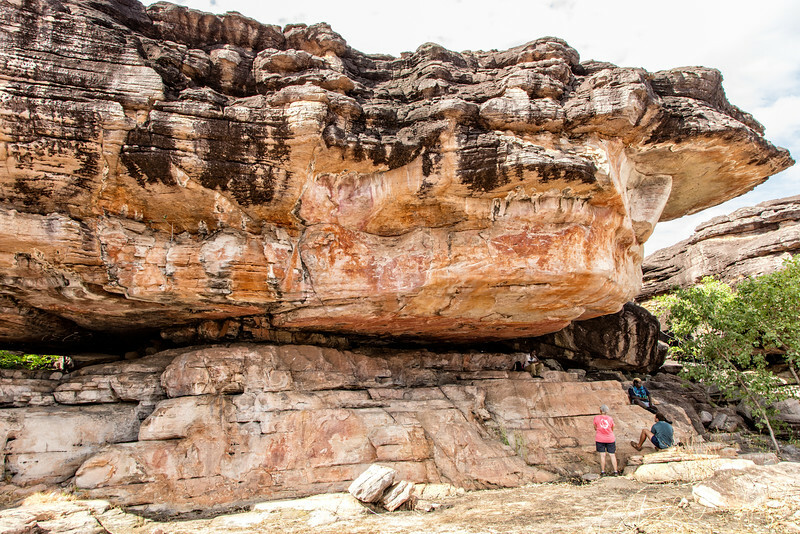 The underside of this overhang was full of aboriginal rock art. Unlike a blackboard where you could erase and begin again, when they ran out of rock aboriginals just painted over older art. 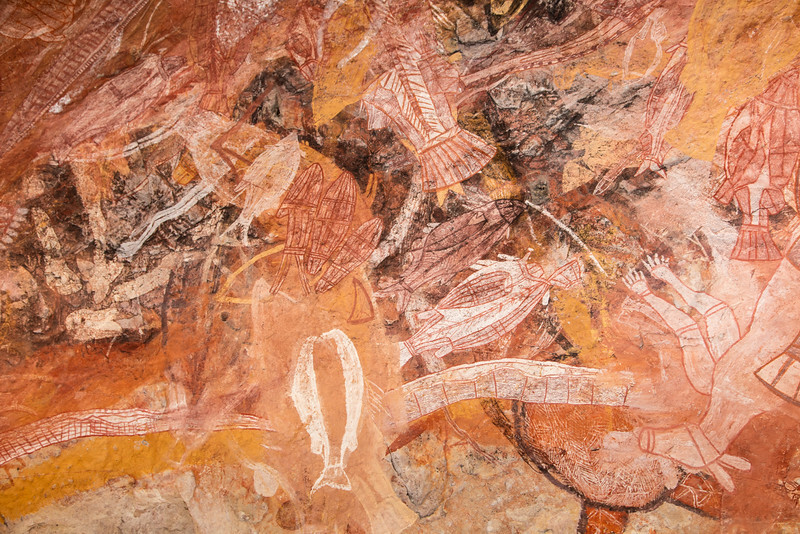 The art on these walls are thought to be 40,000 years old. 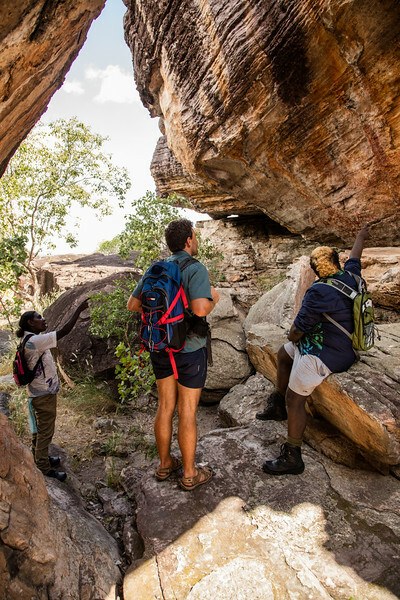 Here you see our two aboriginal guides and our guide for the entire time we were in Kakadu. 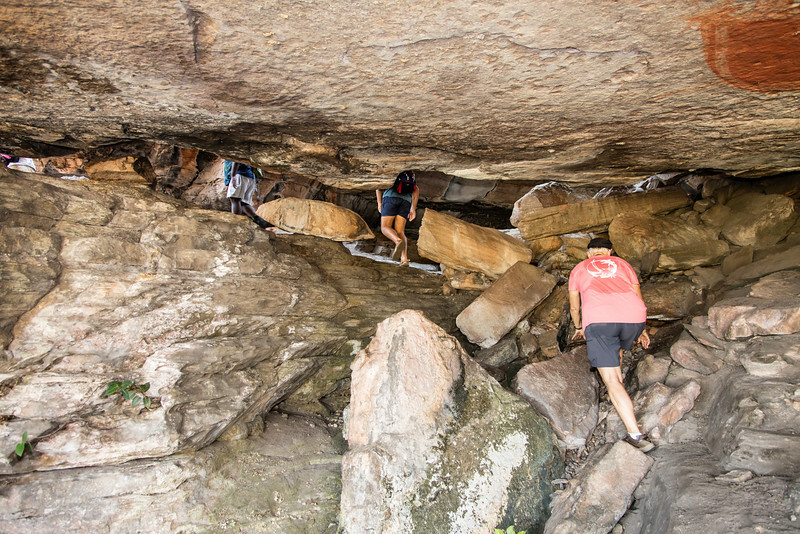 Julie making her way up through the rocks to see the aboriginal burial grounds. 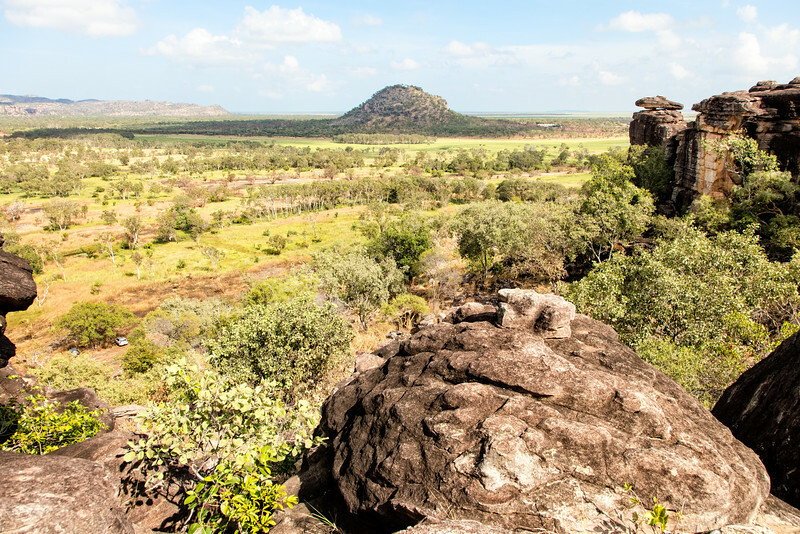 A view of the Aboriginal land with our guide in the foreground. How lucky our two guides were not to be crushed by this tumbling rock that landed precariously above them. Of course you know the rock had been there for ions. 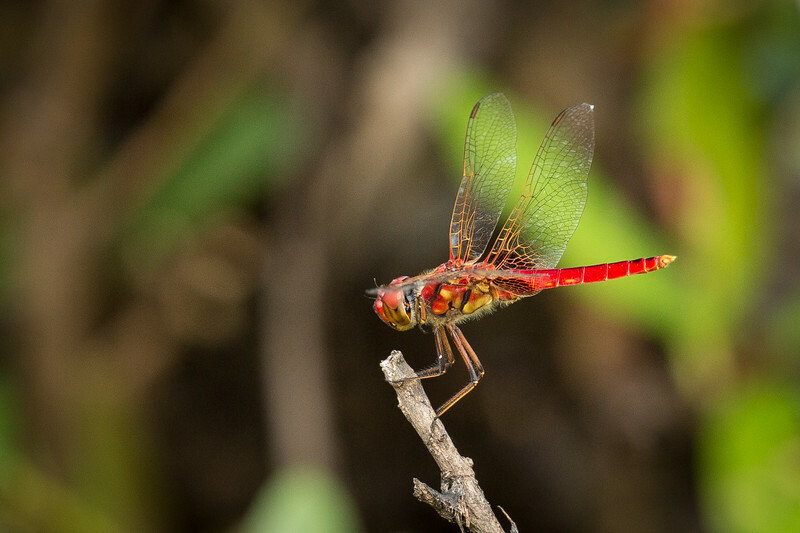 A colorful dragonfly. 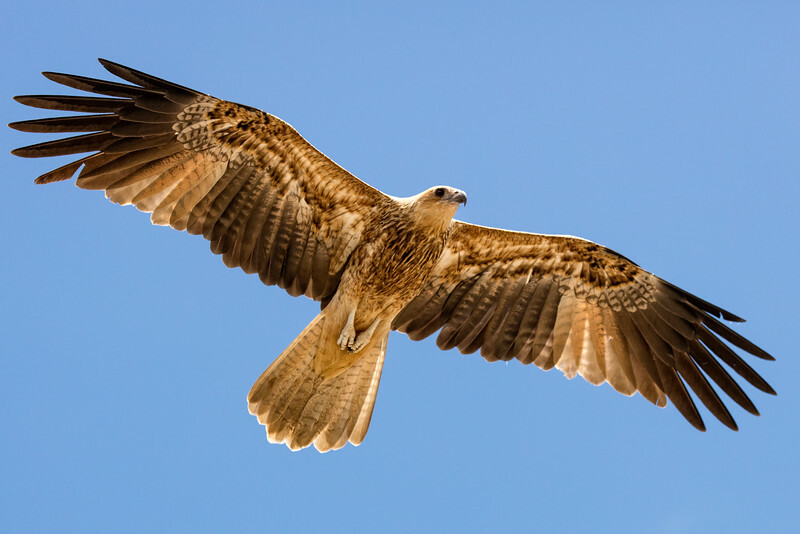 It's always a challenge to get a sharp picture of these creatures. 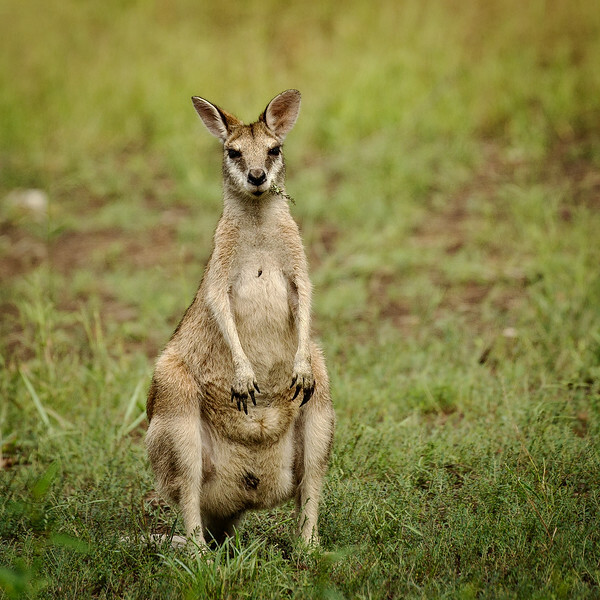 A "joey" at last. 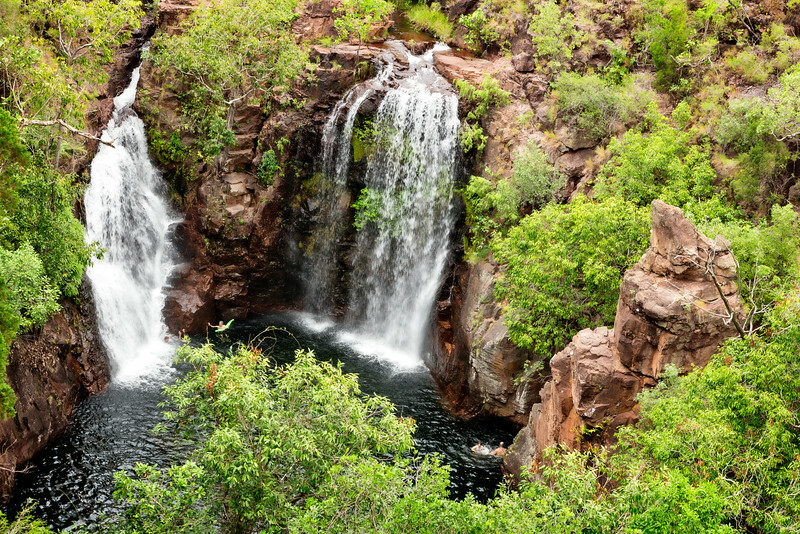 We were surprised not to see more kangaroos during our visit to Kakadu. 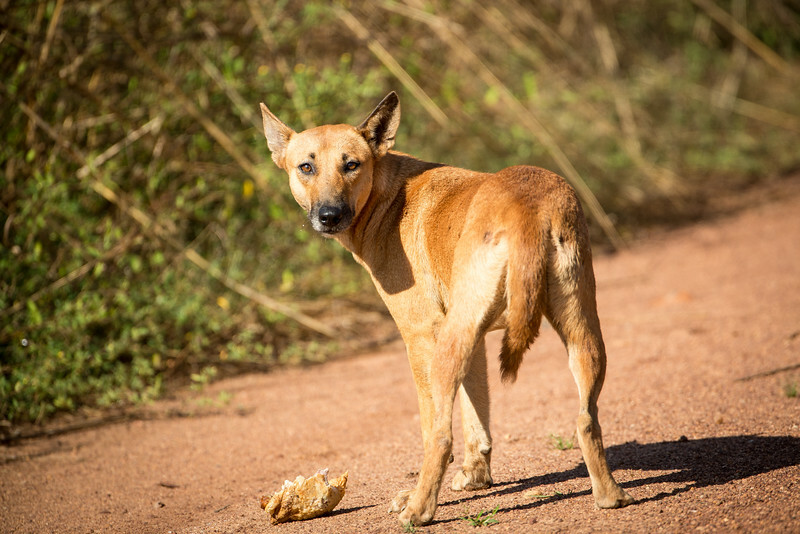 There are some famous stories about dingos in Australia, but we had not seen one. Within an hour of so stating this dingo appeared and it was the only one we saw. 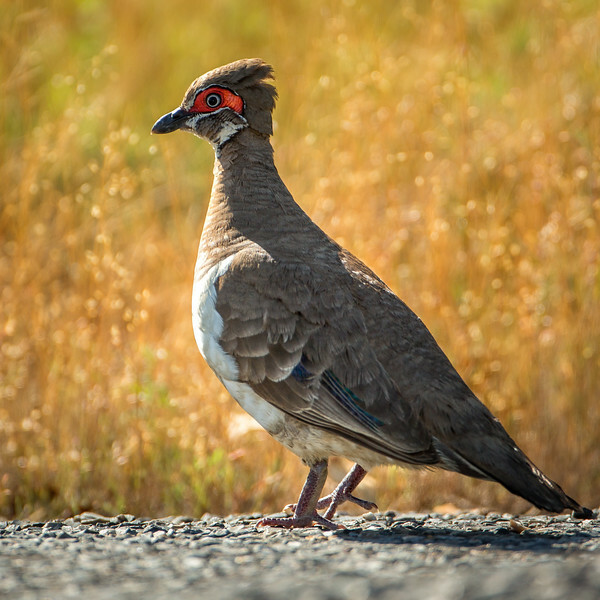 This is a partridge pigeon. 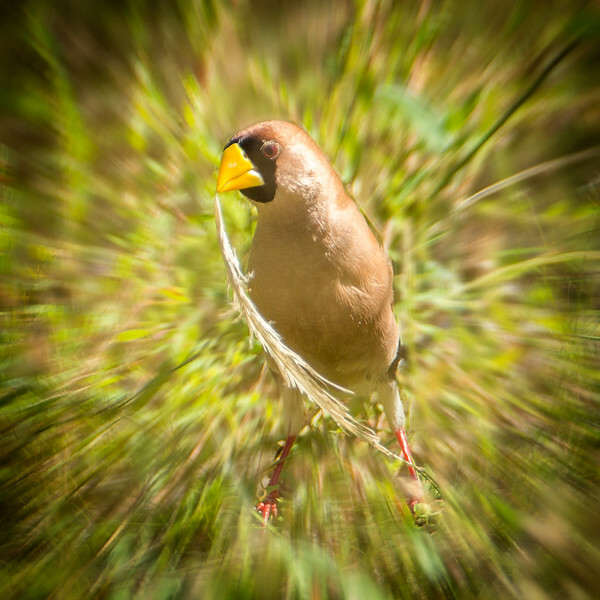 A masked finch shown with a little photography trickery. 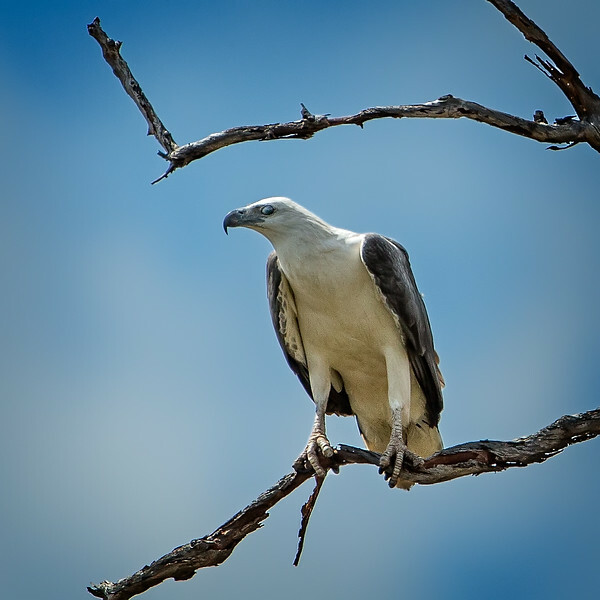 A white-bellied sea eagle comfortably perched on a branch. 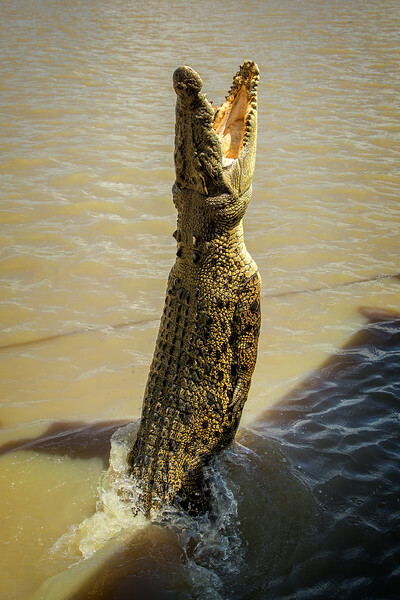 We were on a small boat on the Adelaide River when this croc jumped out of the water next to the boat. 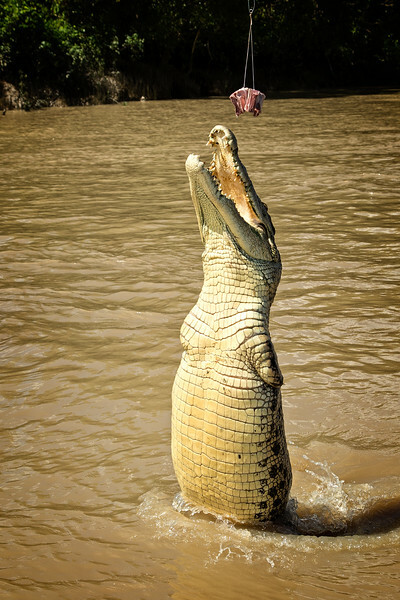 And now for the rest of the story: The crew of the boat would put meat on a pole to encourage the crocs to jump for it. We thought this was a bit dubious practice. 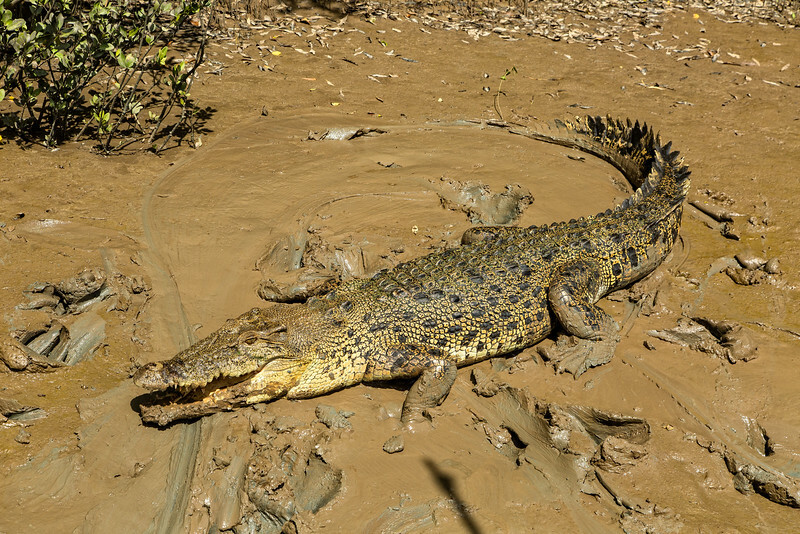 Here's a friendly croc taking a mud bath. 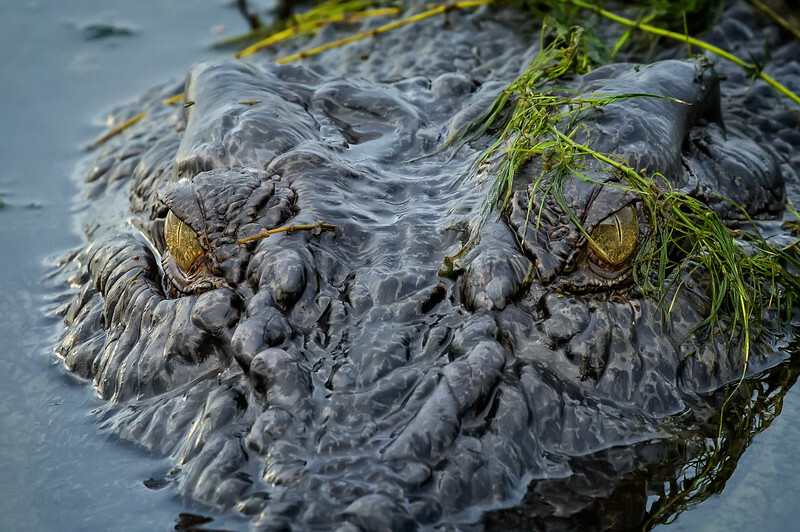 Then we saw this monster along the river bank. He must have been 20 feet long. 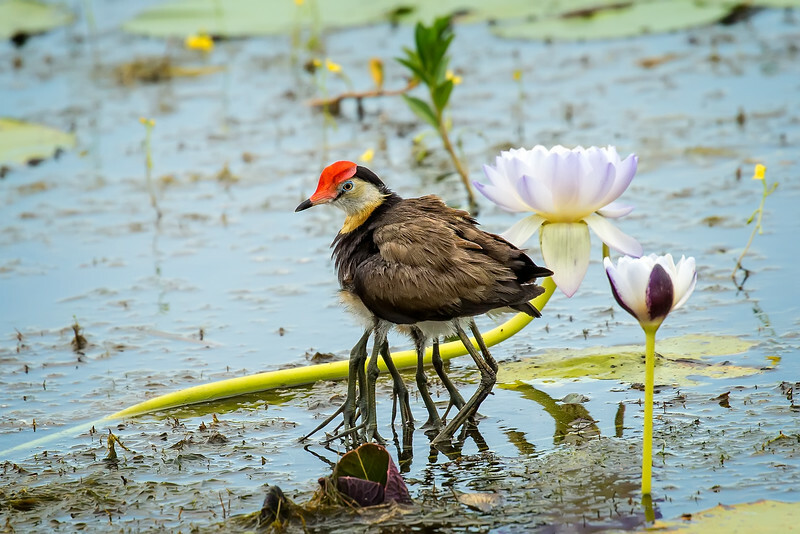 A comb-crested Jacana. 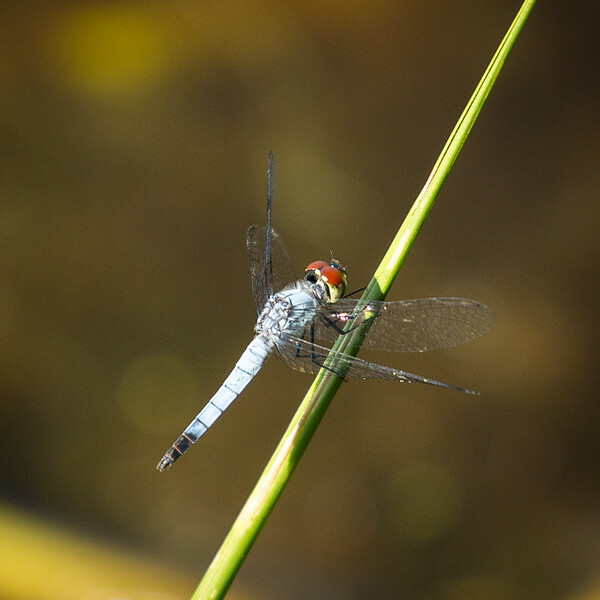 See how the feet are structured so they can walk on lilly pads. Note too the small chick in the water. 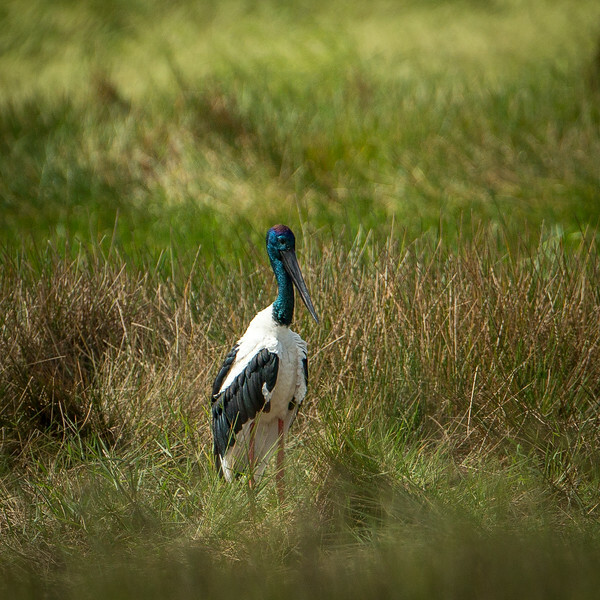 We were delighted to photograph the black-necked stork, and also called a Jabiru, an uncommon bird to photograph. 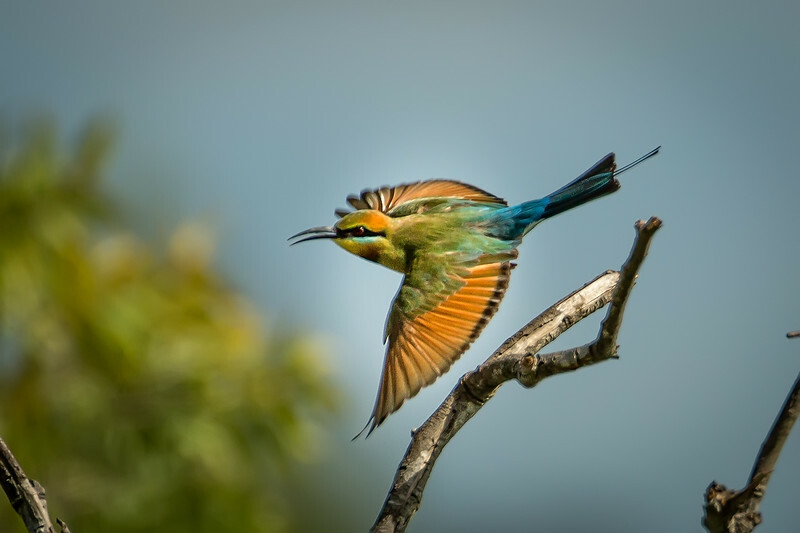 Rainbow bee-eater departing her perch. 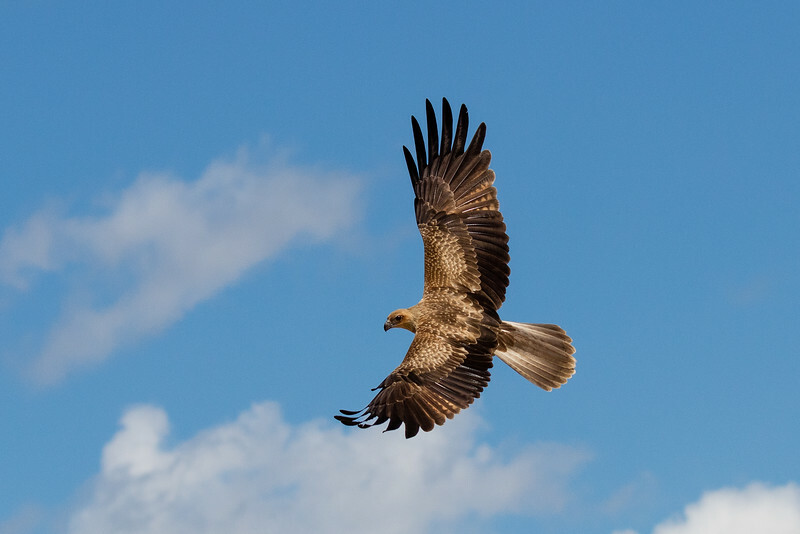 A whistling kite circling above looking for an easy meal.